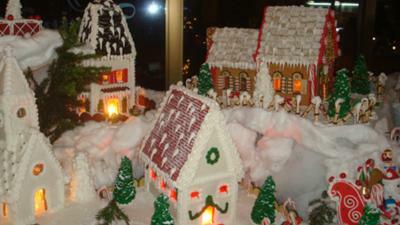 Another photo of our gingerbread village. You did a great job. It's Christmas-y and warm. Love it.